While experiencing a divorce can be extremely traumatic and stressful, research has shown that almost half of all US marriages end in divorce. 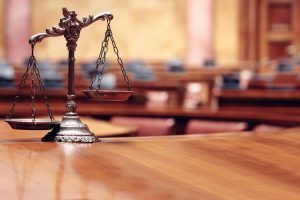 As this experience can be a life-changing event, an experienced divorce attorney should be contacted as soon as possible to allow the process to run as smooth as possible. Serving the Orland Park, IL area, the experienced divorce attorneys at Berry K. Tucker & Associates, Ltd. will ensure that your needs are met by establishing a strong partnership and providing an assertive representation. We have over 50 years of combined legal experience in all of the following areas, including: child support, allocation of parental responsibilities (child custody and visitation), post-decree issues, division of property, spousal support, and pre- and post-nuptial agreements. As each case is unique, we will learn about you and your goals so that we can guide you in the divorce process to make the decision that works in your best interest. Child Support: Our divorce attorneys represent men and women in the Orland Park, IL area in the negotiation of child support agreements in divorce hearings, establishing child support in paternity actions, and changing previous child support orders. We will also look into each detail of the case to ensure that the future and wellbeing of your child is handled with the utmost care. Allocation of Parental Responsibilities (previously referred to as child custody and visitation): All loving and caring parents just want what is best for their children. However, the issue can quickly become sensitive and complicated when the other parent is involved. At our divorce law firm, we will provide an assertive, competent, and compassionate representation throughout the entire process to guarantee the most amount of time with your child that is possible. 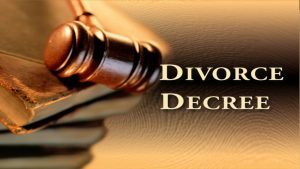 Post-Decree Issues: Although divorce is a life-changing event, there will be other occurrences that will present issues once the divorce has been finalized. 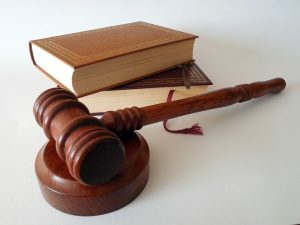 Our experienced attorneys will help you settle any post-decree issues, such as any post-marital changes made in employment, income, your child’s needs, marital status, etc. Division of Property: If there are many assets within the property, settling this issue can quickly become sensitive and complicated between the two individuals. If there are children involved, child custody and support can also influence the situation. Contact one of our divorce lawyers at Berry K. Tucker & Associates, Ltd. to discuss your priorities and have this issue solved as efficiently and effectively as possible. a priority to grant as much protection for you and your children, if involved, as possible. Spousal Support (also referred to as Maintenance): Formerly known as alimony, spousal support is not always awarded in every divorce case. Depending on a number of factors, such as the earning capacity, health, and length of the marriage, it can be obtained both long and short-term. If you are considering spousal support after your divorce, consider speaking with one of our skilled divorce lawyers. Pre- and Post-Nuptial Agreements: Although nobody likes to think of a failed marriage, unexpected events do occur as it is best to be prepared with either a pre- or post-nuptial agreement to allow a smooth transition. Pre-Nuptial Agreement: A pre-nuptial agreement can provide a solid foundation and understanding in the case of a failed marriage. 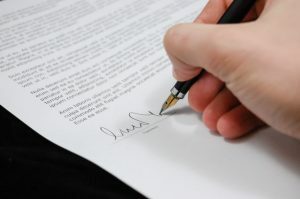 You may want to consider a pre-nuptial agreement if: you are expecting a significant increase in income, you have large investments, you have a large inheritance, or you own a business. Post-Nuptial Agreement: Similar to a pre-nuptial agreement, a post-nuptial agreement can provide a foundation and understanding in the event of a failed marriage, only after it has ended. This agreement can also include the issue of child support and custody in addition to the financial interests of both parties. However, it is important to remember that the majority of the assets in this agreement are already marital or common property. As you are probably aware, a divorce is no easy task to handle. It can also become incredibly complex if there are children and a number of assets involved. This is why the divorce attorneys at Berry K. Tucker & Associates, Ltd. are available in the Orland Park, IL area to establish a strong foundation and provide an assertive representation that works in your best interest. Please feel free to check out Illinois Divorce FAQ page for answers to general questions. If you are considering, or your spouse has filed for divorce, contact an experienced divorce attorney in the Orland Park, IL area at (708) 425-9530.